Finished Jul 2017. Final score: 1 / 5. I got this book because I enjoyed The Lunar Chronicles. I read the complete Lunar Chronicles. This book is Marissa Meyer phoning it in. 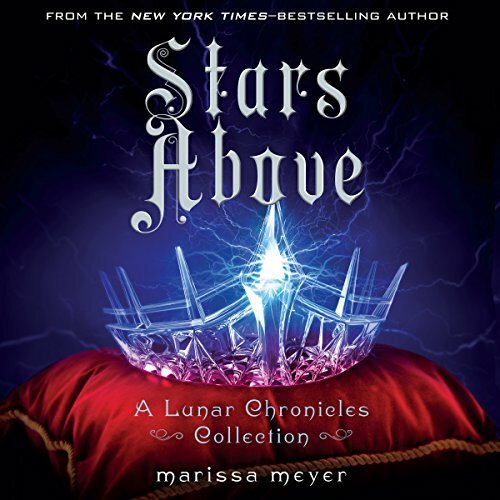 Stars Above is a collection of short stories put in to The Lunar Chronicles universe. Each chapter stands on its own. The quality level can best be described as fan fiction. For example, one of them is a scene-by-scene replay of Cinder meeting the prince... except it is being described from the prince's point of view. Really? Did that really need to be written and printed? Anyway, perhaps super die-hard Lunar Chronicles fans desperate for another book might gobble this up. Otherwise, the whole thing just felt like a cash grab on a collection of half-finished ideas. One positive: The wedding chapter at the end was genuinely very cute. Discuss Stars Above (Book 6) in the forums.